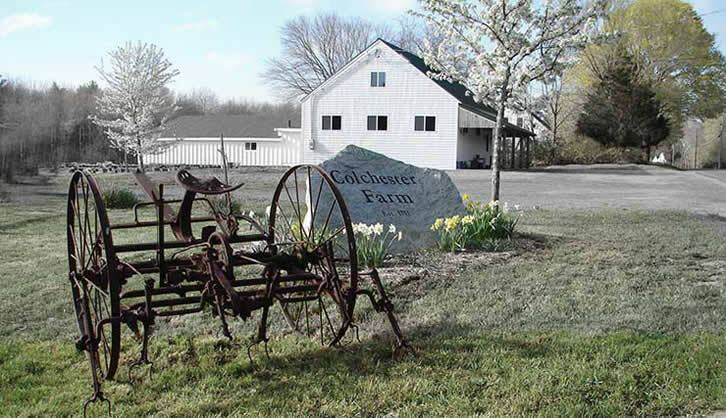 Colchester Neighborhood Farm is an eight-acre Baystate Certified Organic farm located in Plympton, MA. In 2012, New England Village (NEV) took over management of this operation as part of its strategy to create small scale business ventures to provide integrated work opportunities for the individuals in its Employment Services program. Major renovations were made to the farm’s existing structures and today, farm staff, crews, community volunteers, and visitors arrive daily to participate in farm life in ways that are personally gratifying and meaningful to them. Click here for more detailed information about NEV’s Colchester Neighborhood Farm.